Around the globe process companies are under constant pressure to reduce their carbon footprint while driving down costs. EMbaffle® innovative heat exchanger technology is at the forefront of this challenge. The company has pioneered a step change in baffle design that significantly reduces fouling and eliminates vibration. The result is a major improvement in heat exchanger performance leading to reduced operating costs, energy consumption and CO2/NOx emissions. 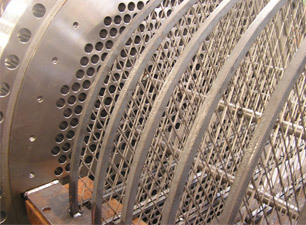 And because heat exchangers constitute a substantial proportion of the overall capital and operating costs of process plants, EMbaffle® offers one of the most effective ways for companies in the Oil & Gas, Process and (Solar) Power industries to achieve their operational, financial and environmental goals. EMbaffle B.V. is based in Alphen a/d Rijn.